Our traditional style Amish West Lake Open or Enclosed End Table with Drawer stands out thanks to details like grooved legs and rope trim in front of the shelf base. 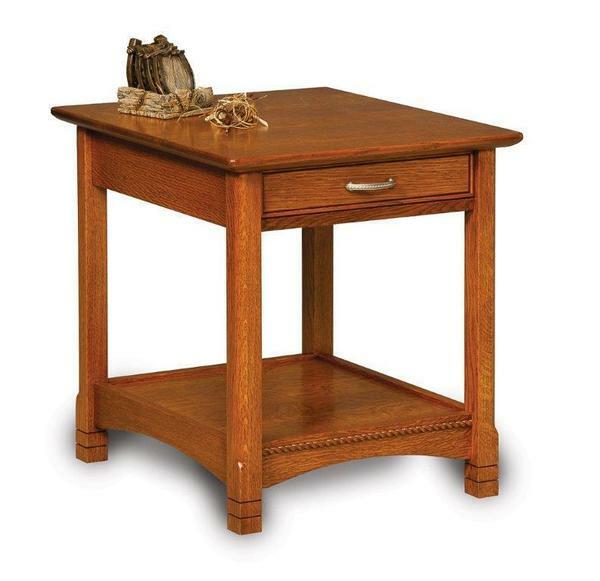 Standard features of this end table include a 1-inch thick solid top, full extending drawer, and shelf base. Select wood type and finish to customize it, as well as hardware, and size. It can also be made enclosed, without the rope trim detail, and/or without the leg grooves.